Does this promise sound pretty good? I can tell you, from personal experience, that it’s AMAZING! But let’s look at what comes before it in the book: A thorough personal inventory and sharing it with someone else whom we trust to be both gentle and encouraging. When we are brave enough to really dig into those parts of ourself that we would rather keep a secret, and have the courage to reveal everything about ourselves to another – holding nothing back – we discover that we are not nearly as hopeless, damaged or “bad” as we had thought. And more important, we then have the opportunity to be free of it all. 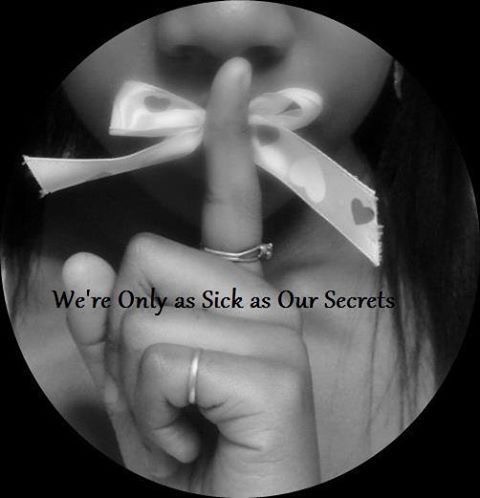 I am only as sick as my secrets, but when I have nothing left to hide, ILML!